My favorite triple chocolate cake! Two layers of rich and tender chocolate cake filled with incredible smooth chocolate frosting and covered in a generous layer of chocolate ganache! For serious chocoholics! 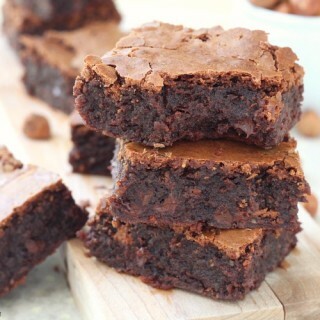 Today’s recipe is for truly chocolate lovers! Those of you, like me, who can not let a day pass by without enjoying at least some chocolate in any form or shape. I know I’m not alone and looking at the most viewed recipes on my blog I’m certain I’m not the only one! Chocolate cupcakes with vanilla bean buttercream, soft and chewy triple chocolate fudge cookies or these carmelitas – caramel chocolate oatmeal bars, although published in the last couple of weeks, they have immediately became some of your favorites! Our love for chocolate pushed me to develop a chocolate cake recipe that makes me weak to my knees. 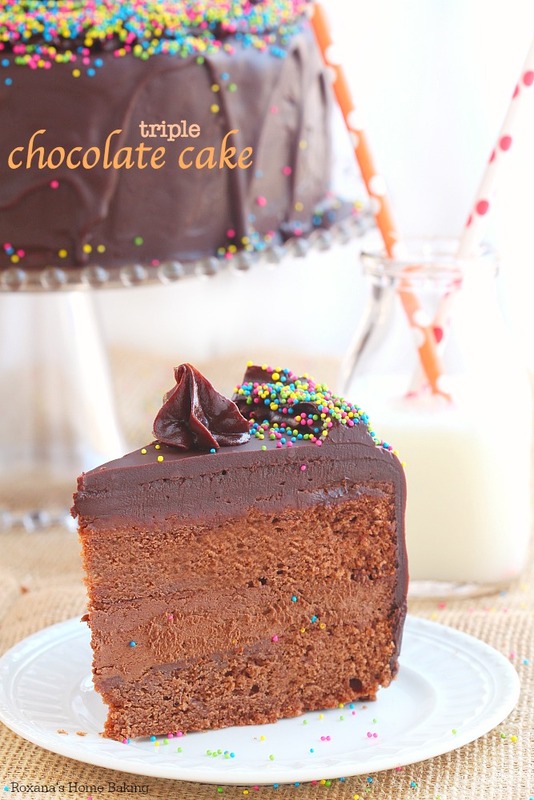 This triple chocolate cake is by far one of my favorite cakes! I don’t usually make layer cakes. It seems like there’s so much work involved into making one. I’d rather make cupcakes or even less complicated – cookies. But there are special times when a cake is mandatory. It was the perfect excuse to dust off my 9 inch round pans and do some magic in the kitchen. And this cake was worth all the trouble and the time! The anticipation of what’s to come builds and when the time is right and cut yourself a slice and you sit down seems like the world is stopping just for you. You feel the chocolate frosting melting in your mouth paired perfectly with the rich double chocolate cake. Bite after bite it will leave you crave for more. To make this triple chocolate cake requires a little bit of work. You need to set aside a couple of hours, mostly it’s just waiting time. Wait for the cake to bake. Wait for the cake to cool down. Chilling it in the fridge. It may sounds complicated, but once you read the recipe top to bottom, you’ll realize it’s fairly easy to make. Probably the hardest part is decorating the cake and making sure you don’t make a huge mess when its time to cut it. 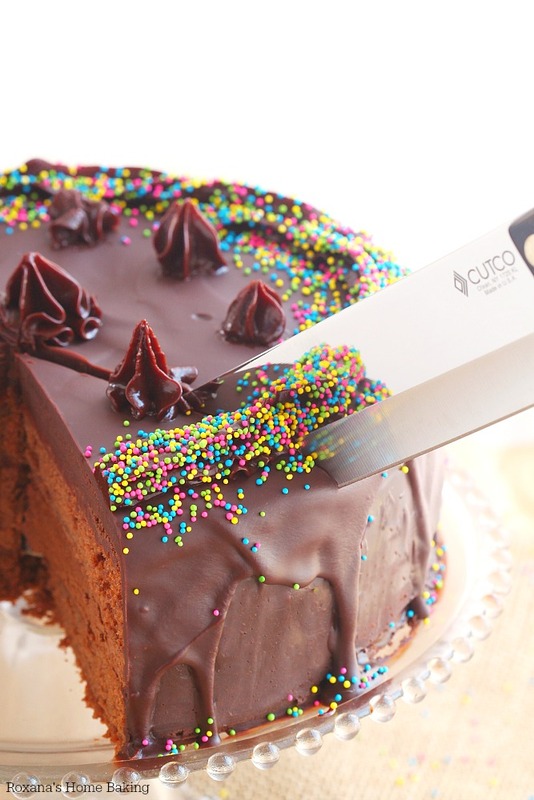 The cutting of the cake is actually a breeze with the sharp knives from CUTCO Cutlery. I’ve been praising them a lot of times around here and will most likely mention them a few more times in the future. They are simply the best! Their high quality knives cut through the cake/ ingredients with such ease and precision. CUTCO takes such pride in their products. Each knife comes with a Forever Guarantee that includes free lifetime sharpening (just pay $7 for shipping and handling) and a 15-day unconditional money back guarantee. And for the first time I tried their bake and serve set when serving the cake at Tiffany’s birthday and everyone was wowed by it. How would you like to win some CUTCO Cutlery products? You do? Wonderful! Use the widget below to enter for a chance to win a $150 CUTCO Cutlery gift card. Preheat the oven to 350F. Line two 9 inch springform pans with parchment paper or lightly grease with baking spray. Set aside. In a mixing bowl, add the butter and sugar. With the paddle attachment on, beat on low speed until light and fluffy. Stir in the melted chocolate. Scrap the sides of the bowl with a spatula. In a separate bowl, combine the flour, baking soda and cocoa powder. Add the flour mixture alternately with the buttermilk to the chocolate mixture. 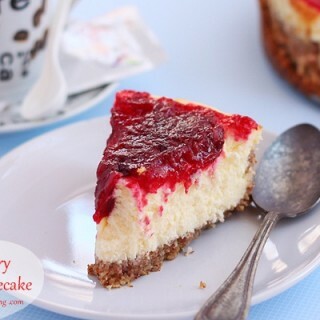 Divide the cake batter between the two prepared baking pans and bake in preheated oven for 23-35 minutes or until a toothpick inserted in the middle comes out clean. Leave to cool slightly before removing from the pan and cool completely on wire racks. While the chocolate cake is cooling, make the chocolate frosting. In a small sauce pan add the heavy cream and bring to a boil. Add the chocolate and stir until melted. Remove from the heat. Cover and let chill 1 hour in the fridge OR about 4 hours at room temperature until set and firm. 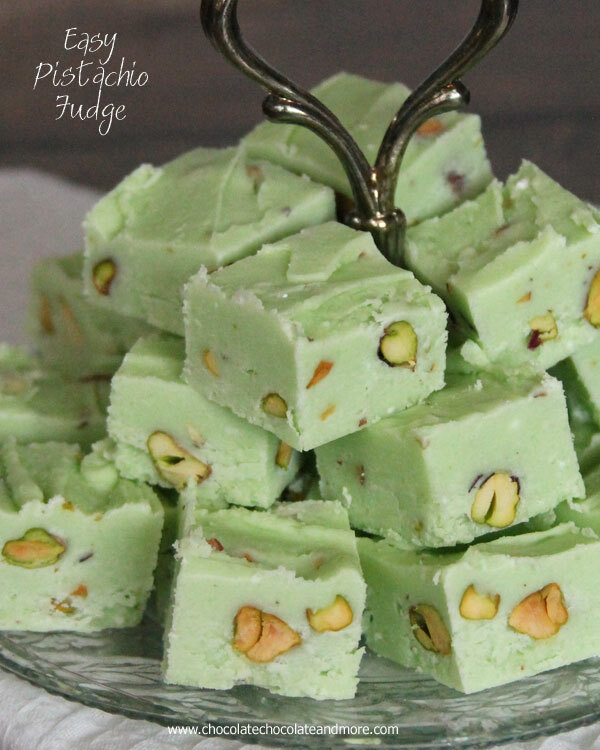 Whisk the mixture until light and fluffy. Using 2/3 of the chocolate frosting sandwich the cake layers spreading it evenly with a spatula . Chill the cake for about 1 hour before making the chocolate ganache. Add the chocolate and stir until melted. Remove from the heat and stir until slightly cooled, about 5-7 minutes. Pour half of the chocolate ganache over the cake and working quickly, with a spatula spread the ganache making sure the entire cake is covered. Refrigerate the cake for 30 minutes to 1 hour. Pour the remaining ganache over the cake letting it run freely over the sides. 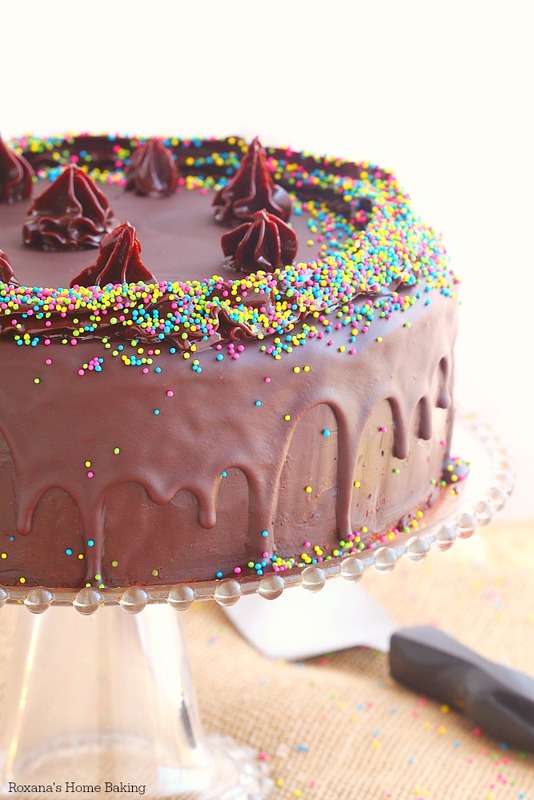 Optional, save about 1/4 cup ganache to make decorations on top of the cake. Let the cake rest for few hours, or better overnight, before slicing it with a very sharp knife . This looks amazing!!! Thank you for sharing it! CHOCOHOLIC REPORTING FOR DUTY!! This cake is completely jaw dropping!!! I am head over heals in love with this cake! This looks fantastic! For step number 11 do you mean 1 hour in fridge and 4 hours at room temp? I am definitely making this. Hi Rosa, I have not tried doubling the cake to make a bigger cake, but don't really know what size pan you should use if you do so. And yes, if you decide to top the case with another tier, it's sturdy enough and it won't collapse and for sure you can cover it in fondant. I want to try this cake! Just a few questions - can you use regular 9" round cake pans? 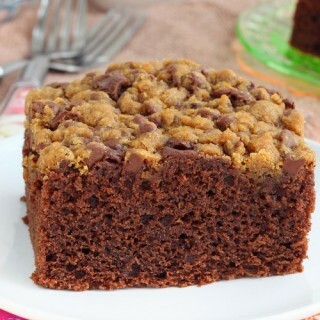 And for the cake do you use a chocolate baking bar for the semi-sweet chocolate (1/3 cup melted)? And is this cake stored in the fridge or at room temp.? Thank you so much! !